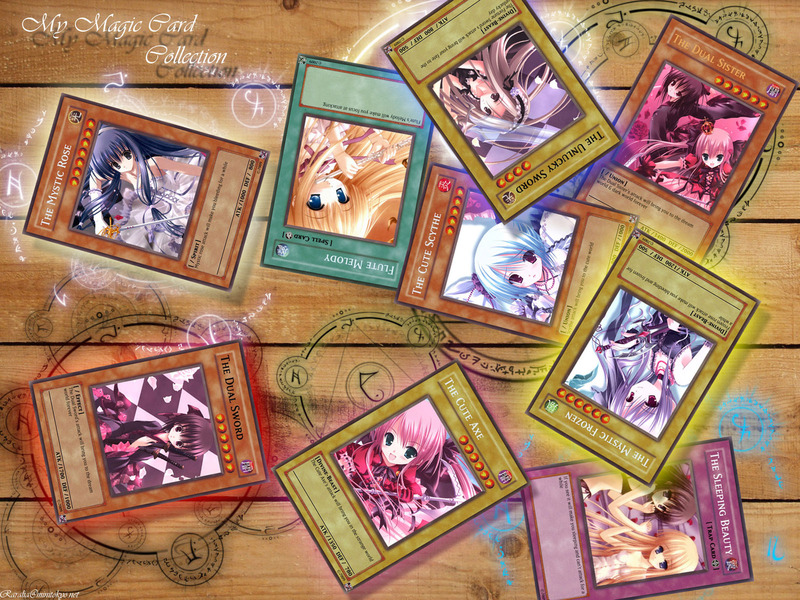 sorry if my english bad nyuu..
Ha ha ha, yeah, Yu-Gi-Oh cards, it's an interesting idea, good job~! I liked how you made the pictures into trading cards. Nice job! Wow that's a veryy original wallpaper! Love it! Very original, gonna be my first fav in years.